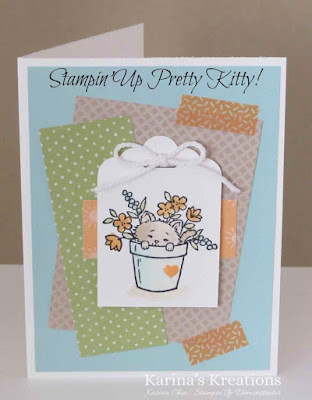 Karina's Kreations: Stampin'Up Pretty Kitty! Do you own the Pretty Kitty #141864 or Bella and Friends #141870 stamp sets? They are so fun to watercolor and I love the cheerful playful images. 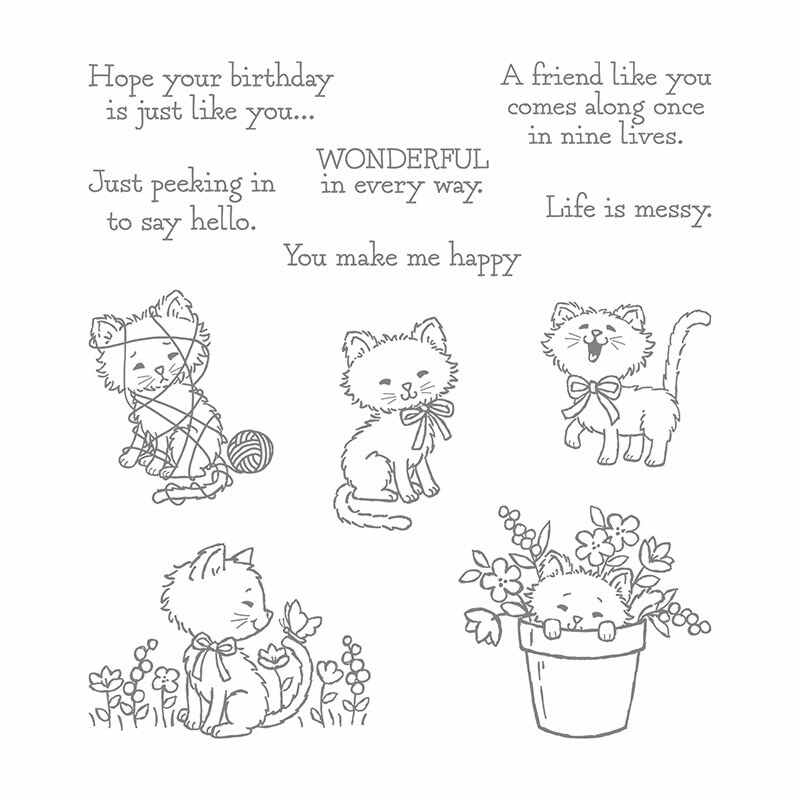 I'm designing a class with these two stamp sets and this is one of the cards. I'm using Shimmery White card stock in place of Whisper White because it holds up to watercoloring. I stamped my kitty with Black archival ink and colored it with an aquapainter and Pool Party, Peekaboo Peach and Crumb Cake ink pads. When you squeeze the ink pad, it leaves a pool of ink on the top of the lid. I use that pool of ink to color my images. The designer series paper is called Tasty Treats Specialty Designer Series Paper #142770. I also used the Tasty Treats Designer Washi Tape#142773. The heart is from the In-color 2016-2018 enamel shapes #141410 that are on sale for $6.00 right now.